I thought this was a joke at first but apparently its real. 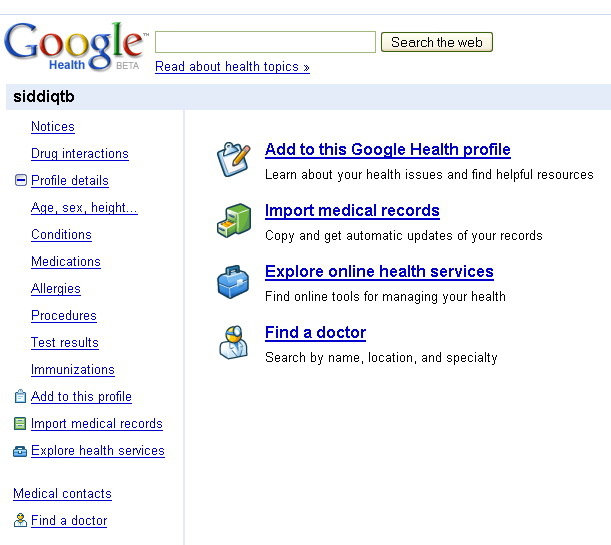 Google is now officially in the health market. Read the full release after the jump but the following line baffled me. Why exactly would I want to share my Valtrex, Vicodin and Viagra prescriptions with everyone in the pharmacy back office? Last week I looked at two social media services and wondered why brands weren’t taking advantage of the wealth of information about the products and services, being offered directly from their customers. Ad Age must have seen my post because they responded with a piece about a company which is hawking a brand monitoring service that is raking in the loot. 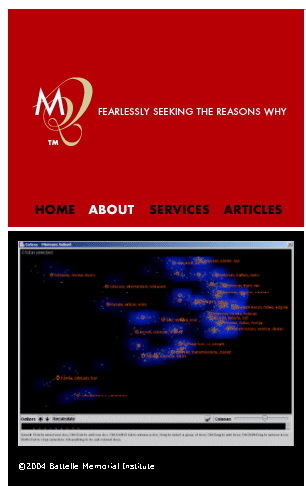 The company, MotiveQuest, offers month long studies of the chatter happening about and around brands for $30k to $75K. While I havent seen any of these reports, based on the description in the article they seems fairly superficial. They are only using keyword matches and user tallies to provide brands with “insight” into what people are saying. While I’m sure its a huge leap over what they had previously, that is to say nothing, simply giving demogrphic information based on keyword matches isnt really pushing the boundaries of what possible and knowable. When digital agencies start offering psychographic profiles and “viral value” of users that discuss a product online and then help brands engage with them is when it will get really interesting. American political thought is dominated by talking heads and media personalities who get on TV and radio programs and shout inane platitude’s at their audience and each other. If you’re like most Americans, you accept these platitudes, unless they run contrary to your preferred bias in which case you then turn to American Idol and veg out . However, every once in a while a commentator will remember that they are supposed to do more then entertain and polarize. Every once in a blue moon they will think test the validity of assumptions and talking points peddled by professional screamers. The Huffington Post has a story about this clip with Chris Mathews showing the historical ignorance of wingnut commentator and popular radio host Kevin James. 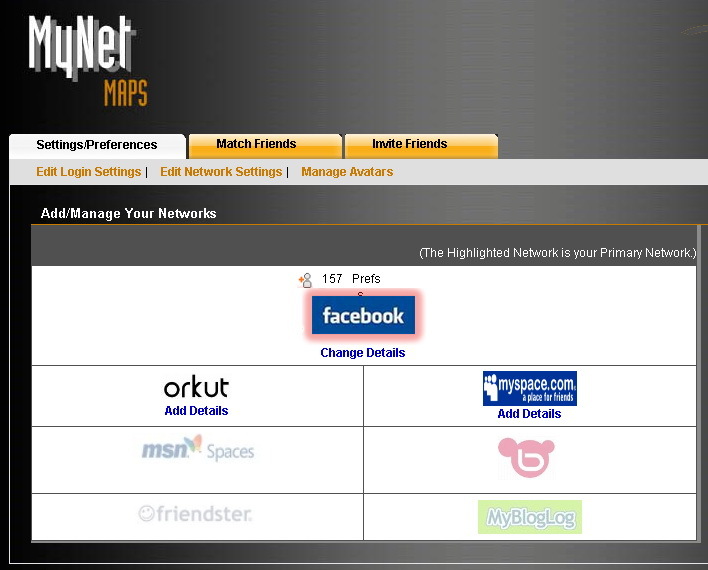 Back in 2006 I was working on a venture I called SocialNet (MySocialMap), based largely on research by dinah boyd and the Vister application she and Jeffery Heer put together. The idea was to build a icon based visual map of relationships across multiple social networks and layer this with a Taste Fabric styled algorithm. Users would be able to visualize their relationships across social networks (something still not done well) as well as discover their networks propensity to like anything from brands to movies. After a couple of successful beta applications the initiative got bogged down in a bunch of issues from vendor management to time constraints (not to mention SocialStream). I had to shelve it late last year after a ton of work and a couple grand in expenses with only a barebones prototype to show for it. 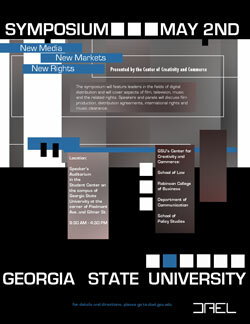 Last week I got a request from Dr. Kay Beck, asking me to sit in on a panel at the Digital Arts Entertainment Lab‘s Symposium at Georgia State. If Kay asks you for something, the answers is Yes. So yesterday I found myself sitting on a stage at Georgia State with Jim “the face of corporate America” Distefano, Mark Wynns and Chad Eikoff, talking about how content creators might best navigate the choppy digital waters. It’s been a while since I’ve done any public speaking, Turner kindly asked me to decline a number of invitations during my tenure there, and this was a great chance to get back in the game. – meta-tagging is a actionable legal issue, for which your new venture could be dragged into court to defend your use of certian trademarked meta tags. I had no clue. – keyword advertising could also be something that requires legal representation if one wants to avoid litigation. – i speak to fast, quote random papers no one has ever read and ramble on! Like I said it was lots of fun. You are currently browsing the Change Is Good blog archives for May, 2008.